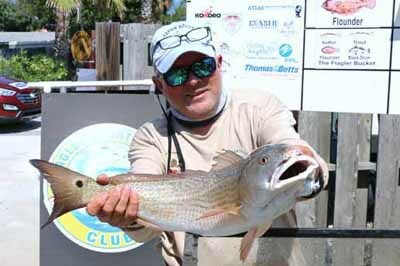 Nice Redfish caught by member, Ken Johnson. Non-members, learn how to catch one like this! You have arrived at the Flagler Sportfishing Club site for Members Only. Members.Log in for detailed information about our yearlong fishing results. Members also have access to all the fishing data gathered by the Club for this area since 2012. Please register for access to our Members Only site if you haven't already done so. New! Check out the Quick Look at the yearlong tournament results See the Members Menu below . After you complete the Registration Process, please be sure to login to view the Members Only pages on this site. Enjoy browsing this site. Additional Members Only information will be posted from time to time. Your access starts after you log in.